A little late, but this one is worth it. 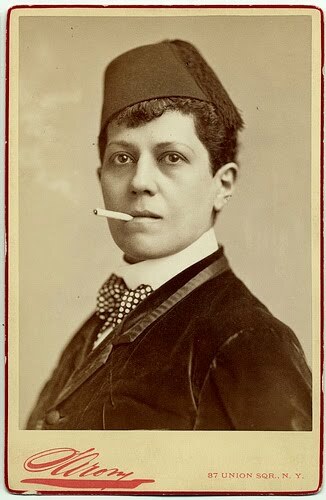 My hero, Ella Wesner, Male Impersonator. Perfect. This image is just perfect!